VanityTrove: Just Got Personal! + Comparison between Old & New troves | beauty. bikes. If you are a Subscription Box Junkie, you’re probably very familiar with the multitude of subscription box services that have descended en masse onto our little island. From arts & crafts (Lollibox) to food (Greedy Chimp), there seems to be a box for everything! The concept is usually the same, pay a subscription fee every month and wait eagerly for a box full of samples to arrive on your doorstep. While it initially feels like Christmas every month (presents! ), after the novelty has worn off, you realize that half the products you’ve received never got to see the light of day outside the box. Whether it is because they are not suitable for you or because you just don’t like them, it’s a waste to have a bunch of products gathering dust in their artfully-designed boxes. 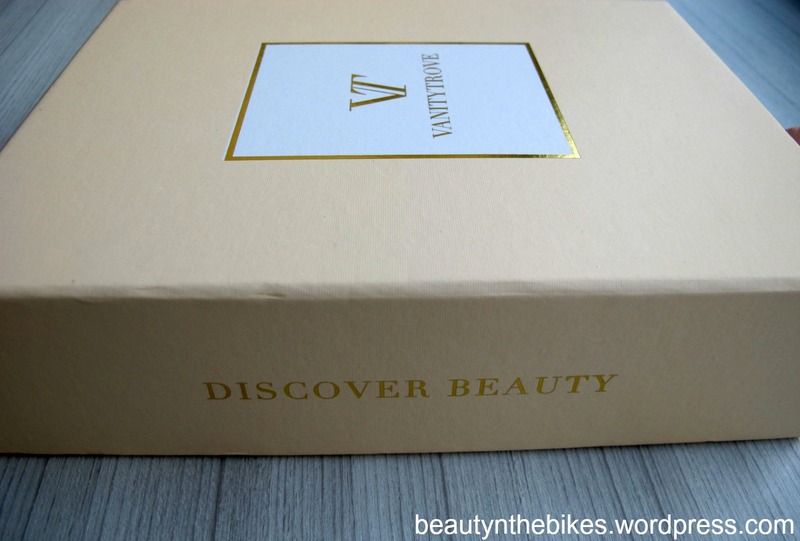 Enter VanityTrove, one of the first few Beauty subscription box services in Singapore. Since it began 18 months ago, VT has been offering the standard sampler box service where you receive 6 random products in a sleek white and pink box every month for SGD$25, until now. If you haven’t noticed yet, things are looking a little different at VanityTrove. As of July 2013, VT has expanded their sampling business and launched a brand new concept: Personalized Troves. For the same subscription fee of SGD$25 a month, you now have the luxury of choosing 6 products of your fancy to be included in your Trove. Ever felt intimidated by the sheer volume of beauty products available on the market and not sure which is suitable for your beauty needs? VT has that settled too! 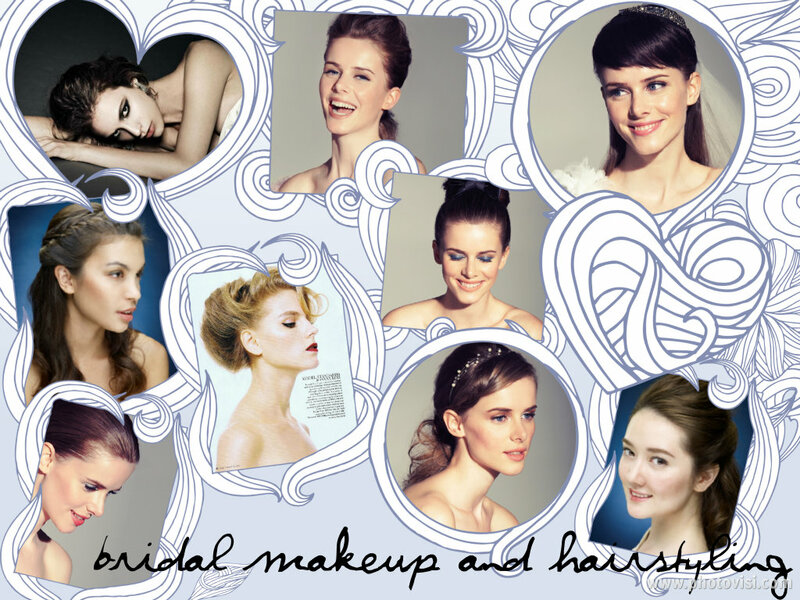 There is now a short beauty survey for you to complete, with questions ranging from what hair type you have to your skin tone. Filling out this survey will help VT narrow down the beauty products that will best complement your own beauty features, and so when you’re directed to the next page to begin picking out the products you want to receive in your trove, you can be assured that the products recommended are just right for you! Also, troves are now delivered within 7 working days instead of once a month, so you can start looking out for Mr Postman more often! Excited to start customizing your own trove yet? We just received ours in the mail so here’s a sneak peek of what you can expect! VT has come up with a sleeker and more luxurious design for the trove, which looks much more sophisticated compared to the previous one. 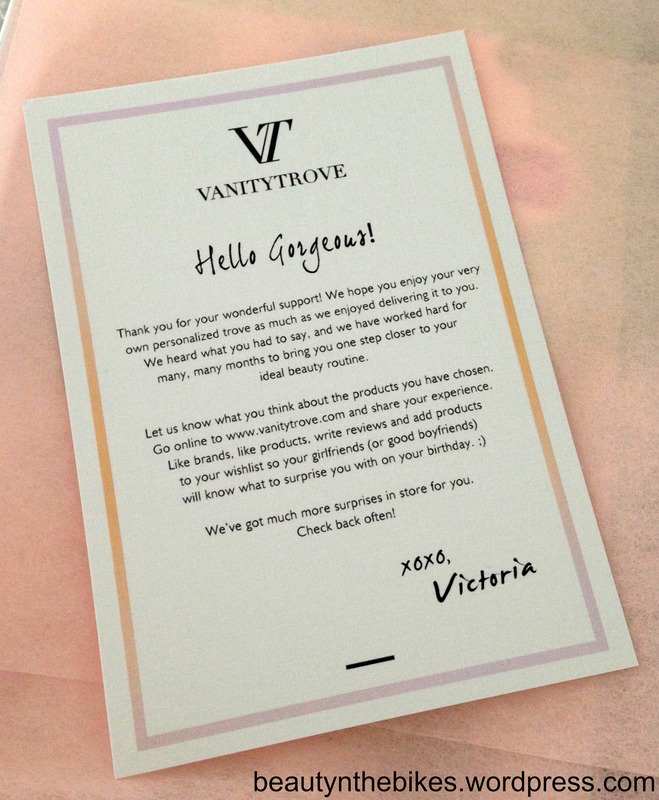 While the previous boxes came with a mini magazine featuring beauty and fashion tips, the new one was replaced with a welcome card from Victoria (who seems to be all over the site, and now apparently the troves too! ), introducing the new features available on the site. 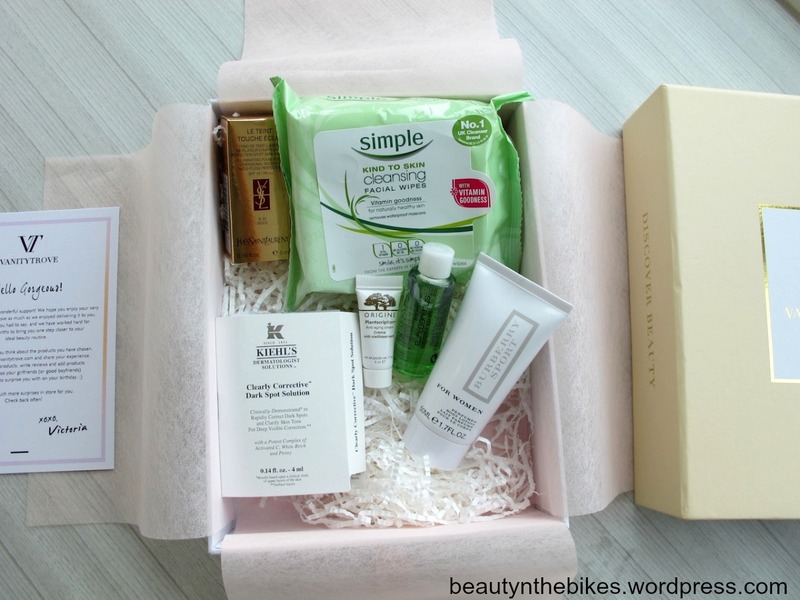 Containing the same number of product samples for the same price of SGD$25/month, the new box is also more value for money since I will be getting a lot more use out of the products having had hand-picked them myself. I opted for a variety of products ranging from fragrance to makeup and body care because in the previous troves I’ve received, most of them have been skincare products so it would be interesting to try out other types of products for a change. Most of the products here are those that I have been eyeing for a while so it was a good opportunity to try them out first before committing to a full size. One quibble I had with the new site was that I could not browse all the products available and was only limited to those recommended to me based on my beauty characteristics. 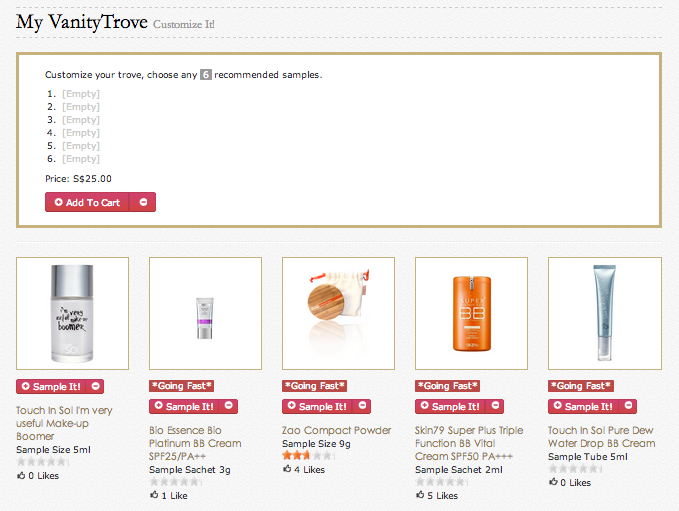 It would be better if the site could include an option to browse all the products because a comparison of both new troves made us realize that there were some products that were not made available to us on the site, probably due to the fact that we had different beauty characteristics. Despite offering this new personalized service, old subscribers of VT may notice that some of the products available have been repeated from previous troves. Hopefully VT will continue to partner with more beauty brands to continuously bring in fresh and new beauty products for us to try out in our troves. Head to https://www.vanitytrove.com/sg/shop/samples to personalize your own troves. Tags: singapore, vanity trove. Bookmark the permalink.